Also referred to as a lower body lift, total body lift, or circumferential body lift, this procedure addressed excess skin and tissue laxity of the trunk (abdomen, waist, and back), thighs, and buttocks. This is a comprehensive surgical procedure that addresses multiple areas in one operation and has a dramatic impact on body shape. A body lift incorporates an abdominoplasty (tummy tuck), which, instead of terminating at the lateral aspect of the abdomen / waist area, continues around the back to address the thighs and buttocks, as well as providing the opportunity to remove maximal skin / tissues of the abdomen for the optimal result. Abdominal muscles are tightened as needed. Patients seeking this type of surgery are often those that have lost a significant amount of weight (50-100+ lbs) either secondary to weight loss surgery or from diet and exercise / after pregnancy. Many patients believe that the recovery and discomfort will be excessively prolonged and painful, however this is not the case. The recovery is similar to an abdominoplasty and often there is very little pain postoperatively. Dr. Simon may also suggest to candidates of this procedure to combine fat grafting of the buttocks which helps with the general body contouring, as fat is removed from unwanted areas, and it is utilized to enhance the buttocks, which is often ‘deflated’ secondary to the process of massive weight loss. Dr. Simon sees many men for this procedure and has treated many weight loss patients successfully with body lifts. Body lifts are typically performed on an outpatient basis in Dr. Simon’s state of the art Plastic Surgery center. Patients are instructed to arrange to have someone take them home after surgery and to supervise care for the first night following surgery. Overnight stay in our recovery facility is also available as well has home nursing services. Small drains will be placed to remove excess fluid. These will be removed in the office, one to two weeks after surgery. A compression garment along with dressings will be placed at the completion of surgery. Patients are required to wear the compression garments for at least six weeks. Smokers will be asked to stop all nicotine use at least 4 weeks before surgery. Nicotine, in any form, can seriously hinder the healing process from surgery and drastically increase the rate of complications. Aspirin, certain anti-inflammatory medications, supplements such as green tea (and others) increase the risk of bleeding and will therefore be avoided prior to surgery. Specific instructions regarding these and others as well as the timing will be discussed with patients at their pre-operative visit. Excessive and loose skin / tissues of the abdomen, waist, back, thighs, and buttocks. Drooping buttocks / outer thighs. Dr. Simon will place the incision in a low position anteriorly and posteriorly which will allow for the maximum flexibility with regards clothing and bathing suit choices. Incision locations can also be customized to particular patient’s needs. The incision will extend 360 degrees around the body to allow for addressing the abdomen, waist, back, hips, buttocks, and thighs all with one procedure. The umbilicus (belly button) is preserved and brought out through a new opening, similar to the treatment in a tummy tuck. Hernias that are identified either during the consultation or intraoperatively are repaired. 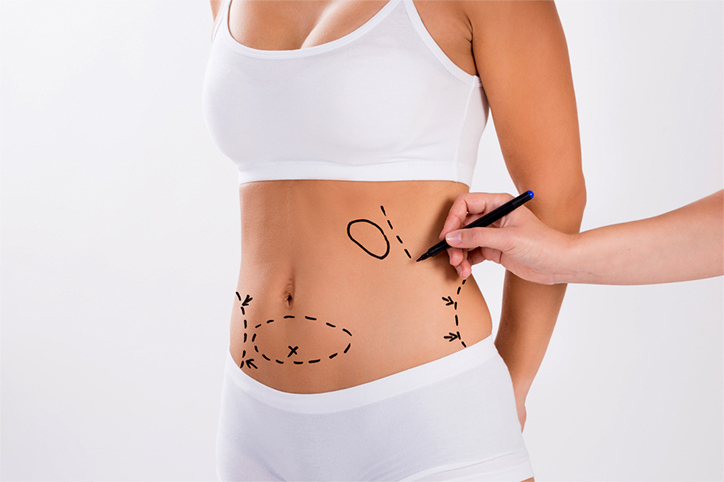 If liposuction is included in the surgical plan (with or without fat grafting), these small incisions will typically be incorporated within the skin to be removed, therefore no scars will result. Dr. Simon and his office staff will make your surgical experience as easy and comfortable for you as possible. You will discuss with Dr. Simon your areas of concern and your goals from body lift surgery. Dr. Simon will examine you to determine the best procedure for you which will lead to the optimal desired outcome. Any possible alternatives will also be discussed. Dr. Simon will spend as much time as necessary with you to make you feel comfortable and answer all of your questions. Patients will also meet with a surgical coordinator and will be provided with more information regarding their procedure of choice. You will see Dr. Simon and his assistants 1-2 days after surgery for the first follow up appointment. Dressings will be removed and further instructions given. You will be permitted to shower after this first visit. The next appointment will be made and there are typically 2-3 more visits in the first few weeks. Some discoloration and swelling will occur initially, but this will subside over the following days and weeks. Supplements and vitamins will be provided by Dr. Simon and his staff to allow for rapid and successful healing. Early ambulation (walking around) will be encouraged as well as adequate hydration to promote circulation and healing. The general recommendation is to take at least two weeks off from work for recovery. There is great variability in the recovery period between patients, however a period of 2-3 weeks is typical for return to work and driving. Strenuous activity must be avoided for several weeks following surgery and Dr. Simon will inform you when it is safe to resume certain activities and exercise. Dr. Simon typically places all sutures internally which has several benefits for his patients. The scars are of the best quality possible and there is less discomfort as there is no need for painful suture removal. The subject of risks and potential complications of abdominoplasty is best discussed on a personal basis between you and Dr. Simon at the time of your consultation. Some of the potential complications that may be discussed with you include bleeding, infection and reactions to anesthesia. Following a body lift you may have areas of temporary numbness which rarely may be permanent. Wound healing problems are uncommon but can lead to increased scarring which may necessitate additional revisional surgery. The improved contour of your abdomen, waist, back, thighs, and buttocks will be long lasting. Most patients will maintain their excellent results permanently as long as they follow a healthy diet and lifestyle along with regular exercise. Significant changes in weight after surgery may alter the results and may necessitate consideration of another procedure.